Walkabouts: All walks begin at 7:30pm . Dress warmly, bring a flashlight, umbrella and pen & paper to take notes. Walks will take place regardless of weather conditions. The walks usually end at about 9 to 9:30, followed by a wrap-up meeting, but you are not required to stay for the entire walk. Everyone is welcome to join us. We have a stronger and safer community when all neighborhoods support each other within the South Precinct. If one area experiences an increase in crime, sooner or later the crime will spread to other areas unless we act together as a larger community to reverse the trend. Please try to participate in as many walks as possible. Sunday, February 26th – Upper Rainier Beach along Waters Street. Meet at Rainier Beach Presbyterian Church – 9656 Waters Avenue South. Monday, February 27th – North Rainier Avenue South. Meet in Taco Time parking lot – 2212 Rainier Avenue South. Please park on street as their parking lot is small and we don’t want to interfere with their business. We’ll make sure everyone gets back to their cars safely after the walk or follow-up meeting, which will take place inside Taco Time. Tuesday, February 28th – North Beacon Hill business district and Light Rail Station area. Meet outside La Cabana Restaurant – 2532 Beacon Avenue South. Sunday, March 4th – Columbia/Hillman City areas along Rainier Avenue South. Meet at Damascus Baptist Church – 5261 Rainier Avenue South. Monday, March 5th – MEGA WALK – Rainier Avenue South and South Henderson Street area. 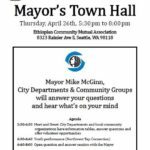 Meet at Rainier Beach Safeway parking lot – 9262 Rainier Avenue South. Please park close to Rainier Avenue South, leaving spaces closest to store for customers. This is the area of several shootings between gang members and recent homicides. We must make the area safe for the community. We hope hundreds of people will participate. The police will secure the area before the walk begins and we will have extra officers escorting us. Prior to our regular meeting take the opportunity to share your concerns and suggestions with the City Council Public Safety Committee. City Council committee meeting are normally held at City Hall in Council Chambers. Bruce Harrell has arranged to bring this meeting to our community. 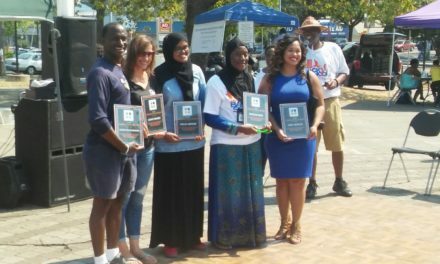 Keep up the great work South Seattle! Suspicious behavior is being reported like never before and it is paying off. If it doesn’t seem right, it probably isn’t right. By providing police with as much information as possible we are making our community safer. SODO and Georgetown businesses have been burglarized in a series of at least six burglaries to commercial properties since December. The targeted businesses are retail stores in strip mall buildings. Suspect(s) have entered the buildings through a roof skylight or vent, or through a first floor window. Once inside, they break through the wall to the business next door. Anyone with information about these burglaries is urged t o call Seattle Police South Precinct Burglary Detectives at 386.1855. BLOCK WATCH TRAINING : Join the SSCPC on February 29th from 7 to 9pm for a training session on how to start your own block watch. Both sessions will be held at the Southeast Seattle Senior Center – 4655 South Holly Street (the southwest corner of Rainier Avenue South and South Holly Street). Another training will be held in March on a Wednesday evening, if you are unable to attend this session. The date and time will be in our next email. Thank you for engaging in your community to help make South Seattle a safer place to live. A woman was grabbed by more than two teens at 1pm on Wednesday, January 4th, as she left the Othello Light Rail station area. She screamed and the teens scattered. There have been a recent series of burglaries in the 9300 block of 48th Avenue South, between Fletcher and Roxbury streets in the Upper Rainier Beach area. Please keep an eye on your neighbors’ property and be on the lookout for roving groups of teens/young people that don’t live in your neighborhood. PLEASE call 9-1-1 and report ANY SUSPICIOUS ACTIVITY. Try to get a good description of the individuals you observe. We will be conducting a walkabout on 48th Avenue South and the area surrounding the recent rash of burglaries. In addition to a pedestrian safety assessment, we will look for CPTED (Crime Prevention Through Environmental Design) improvements that homeowners can make, such as cutting back bushes. We will announce the date soon. Walk in well-lit populated areas. Avoid walking alone and as much as possible, walk or travel with a friend. Walk with a purpose; project an assertive, business-like image. Be careful displaying things like iPods with ear buds, iPads, backpacks, purses, cellular phones, keys and wallets. If a car follows you while you are walking, do not approach it. Instead, turn and quickly walk the opposite direction. If you are confronted, do not resist. Cooperate. Give them what he/she asks for. Your life is more valuable than possessions. Don’t try to apprehend the suspect(s) yourself. Concentrate on remembering the suspect(s) description and call 911 immediately! ADA Request – curb ramps, accessible pedestrian signals, etc.